Run the installer to set it up. You may need to save your work, close Excel, and re-launch it for the app to appear. 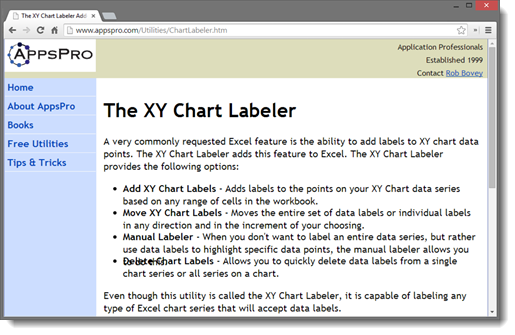 You’ll know it is up and running when you see a new menu tab for XY Chart Labels when you select your stacked chart. To add percentage labels to the stacked column chart, first select the chart. In the new XY Chart Labels menu tab, click Add Labels. 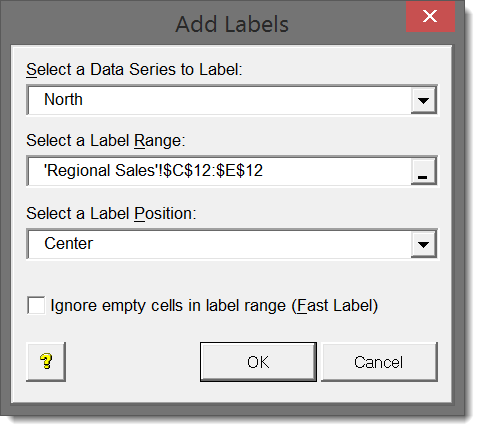 In the Add Labels dialog box that appears, choose the Data Series you would like to label (in the example, you can start with North). Click on the field under Select a Label Range. Click and drag to select the cells that hold the percentage values for the North data series in the percentage table we made. Click OK.
Repeat this process for each Data Series and your chart will have clean percentages on the stacked columns with a total volume at the top. 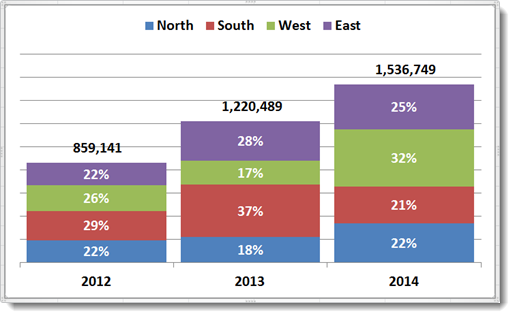 This type of chart is so easy to read that you no longer need the Y-Axis labels!